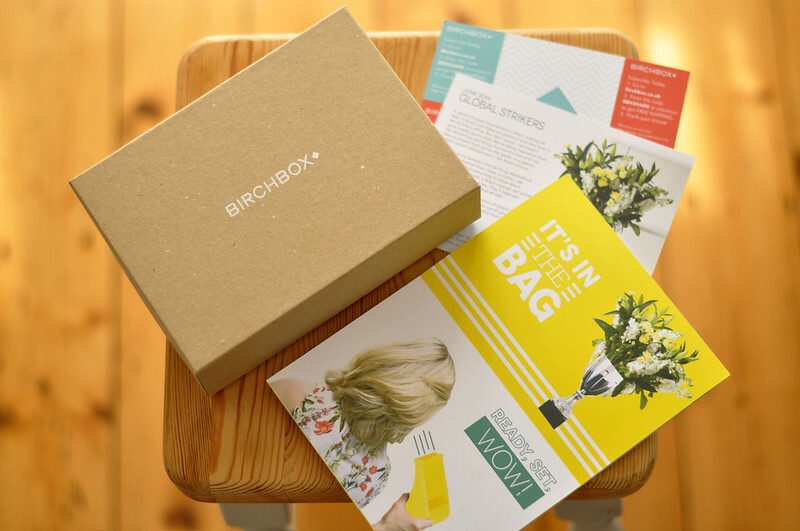 June's Birchbox theme is Global Strikers inspired by the World Cup. FYI I'm supporting Netherlands as that's the team I drew for works sweepstake. Comparing my box to other peoples I think it could have been better, I really wanted to try the Beauty Blender and the solid soap/cleanser. If I'm just focusing on what I got in my own box then I'm pretty happy as I know I'll use everything in it. Embryolisse Lait-Creme Concentre | £12.99 // I already have the full size and really like it but this is a great way to try it out first. I will be saving this mini tube for my travel bag as it's sealed and will last a while. Silk + Honey Shea Butter Hair Mask | £55 full DIY set// This was what I was most excited about after having a look at the spoiler and other peoples boxes. Silk + Honey is a new brand that sells all the ingredients you need to make a product but seperate so you can have the fun of mixing it all together your self. I know it probably would have been too expensive to include but I wish I could have made this hair mask myself. Nevertheless I'm looking forward to giving this a go. OPI Nail Polish in AmazON AmazOff | £11.95 // This looks like a creme polish in the bottle but while I was googling the name of this polish I discovered that it actually has a shimmer finish. This was a little disappointing as I'm not a fan of shimmer polishes but it does look very subtle. There are a couple of other colours I would have preferred but I'm pretty happy with this green colour. Yves Rocher Sheer Botanical Lipstick in Rouge Groseille | £9.90 // As the name suggests I thought this would be a very sheer lipstick but just from looking at the lipstick in the tube I knew this would not be the case. It is sheerer than a matte bold lipstick but it's still very pigmented and can be layered to look very bold and impressive. I really like Yves Rocher lipsticks and am happy to add another one to my collection. Naobay Body Radiance Lotion | £14 // I'm pretty sure I've tried products from Naobay before but I can't for the life of me think what it was. This is a nice standard body lotion that I will be saving for my travel bag as well. I am a bit fed up of receiving body lotions in my beauty boxes at the moment, it seems like a get a new one each month and never get round to using them as I have full size products I need to use first. 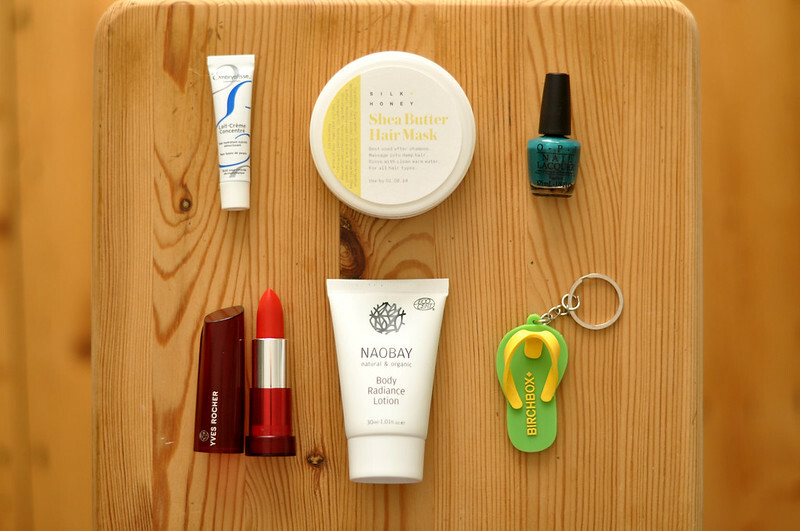 Birchbox Brazil-Inspired Keyring // A cute little bonus! That keyring is so cute! 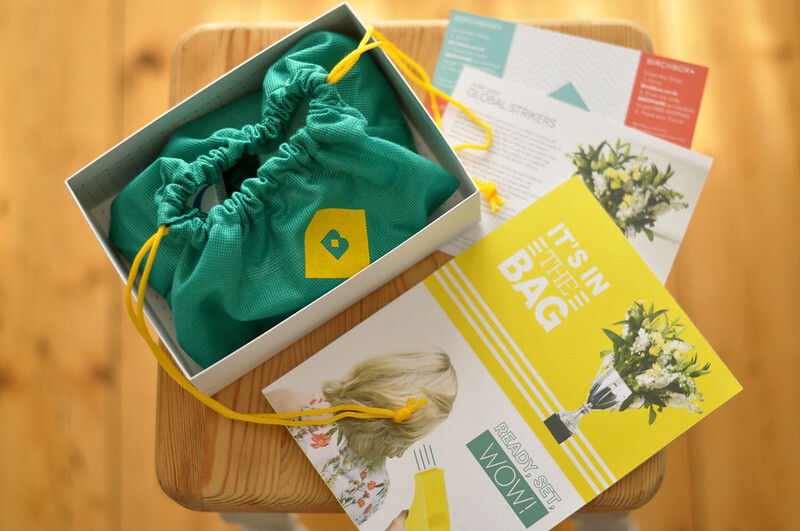 :-) This looks like a really good beauty bag! I have tried samples of the Embryolisse and really like it in the night for summer .. have to try it in winters to see if it can replace my other moisturisers! Ooh, you got a lovely box! The lipstick is a beautiful shade.